Between October 2011 and November 2012, Pew Research Center conducted a major survey of Muslims involving more than 30,000 face-to-face interviews in 26 countries across North Africa, Asia, the Middle East and Eastern Europe. Since Probe has been evaluating similar surveys about the beliefs and practices of Christians and other faiths in America, we wanted to analyze the data in this large survey to see how the beliefs and practices of Muslims in the eastern hemisphere relate to Christians in America. We also wanted to see how Muslim beliefs and practices varied across different regions. To do this, we divided the data into five geographic regions: North Africa, Middle East, Europe, the ‘Stans (e.g. Kazakhstan, Uzbekistan), and South Asia. As shown, the geographical groups vary significantly. The composite of all those surveyed is 40% of the respondents claim to practice these four pillars. While not miniscule, this does indicate that the vast majority of those who claim to be Muslim are not seriously attempting to gain favor with Allah by adhering to these four key pillars of the faith. One startling thing we note from this table is that the Eastern European (e.g. Russia, Bosnia, Turkey) Muslims and those from the ‘Stans do not practice the four pillars to the same degree as other areas surveyed. In those areas, less than 1 in 7 practice the four pillars, while in the other areas it is more than half of the people. In general, Eastern European Muslims and those in the ‘Stans do not practice the four pillars, much less the five pillars, of Islam. Given this, one may argue that the Islam practiced in these parts of the world is not Islam at all, but rather another religion with a historical name, Islam, which may at some point in the past been the dominant religion. The second fact that stands out in the table is the difference in practice versus age. From our earlier blog post on religious beliefs, the results showed very little difference between those ages 18 – 29 and the rest of the respondents, but this is not the case for religious practice. In Eastern Europe and the ‘Stans those over the age of 30 are more than 50% more likely to practice the four pillars than are those aged 18 to 29. In the other areas of North Africa, the Middle East, and South Asia, the older adults are 18% to 37% more likely to practice the key pillars of Islam. In fact, if we compare those ages 18 to 29 with those 60 and older these ratios grow to more than 150% and 31% to 50% respectively. It appears that the younger adults are not as committed to carrying out these practices as their elders. We can only speculate on whether this difference will diminish as they get older. This difference may in fact shrink over time because, as noted earlier, there is virtually no difference in the percent of young adults and the percent of older adults who profess a Muslim worldview. The results found for this aspect of religious practice are generally consistent with those reported for religious beliefs (i.e., a Muslim worldview). We find the majority of those who claim to be Muslim to NOT hold a Muslim worldview and do not practice the five pillars of Islam. In our next post, we will compare Muslim religious practice with Christian religious practice in the United States. 1. 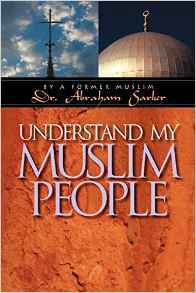 Dr. Abraham Sarkar, Understand My Muslim People, page 169, Barclay Press, 2004. Acknowledgement: The World’s Muslims Data Set, 2012, Pew Research Center – Religion & Public Life. The Pew Research Center bears no responsibility for the analyses or interpretations of the data presented here. The data were downloaded from the Association of Religion Data Archives, www.TheARDA.com, and were collected by James Bell, Director of International Survey Research, Pew Research Center’s Forum on Religion & Public Life.